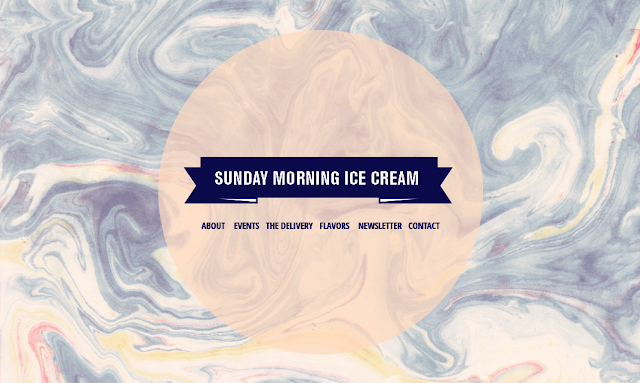 The website that I designed for Genevieve Mateyko's super dreamy ice cream business, Sunday Morning Ice Cream is up! The ever so lovely and amazing Ginger Ngo did the harder and more important part of the site: coding and building what was in my head. Big ups to her. 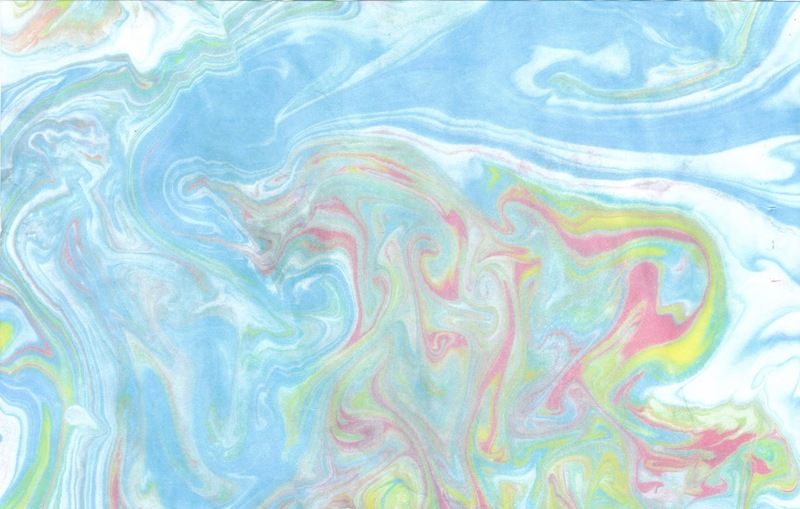 There was a lot of thought and unseen things that went into this website that I kinda want to talk about. First off, Genevieve's ice cream is incredible. Her flavors are so imaginative and exciting, the descriptions for them taste exactly as she says and more. There's so many times where there is the promise of something in a dish or piece of food and it just never lives up or delivers. Her ice cream is what is exactly in my head, translated. Ice cream wizardry! 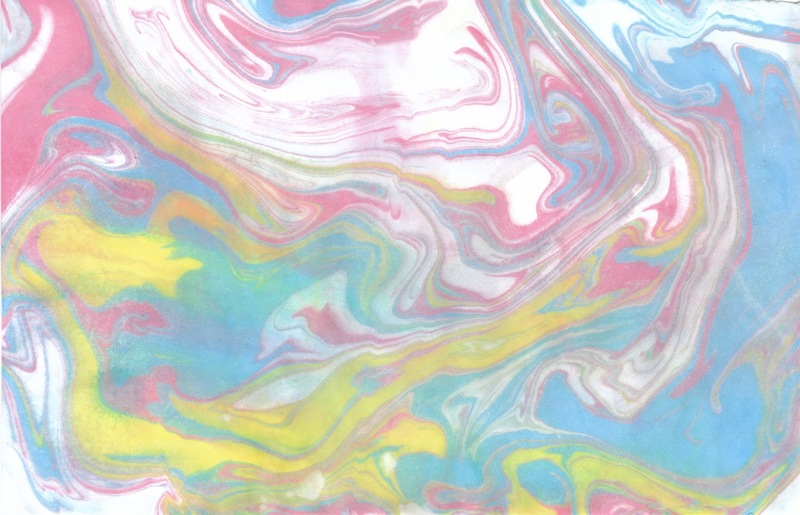 I offered to help Genevieve with her website because I actually haha, had a really strong desire to try out marbling and I was like, what project could I apply it to and I guess I was eating Genevieve's ice cream at the time and was like, ICE CREAM! I just began to sort of imagine what her site could look like and just getting really excited. 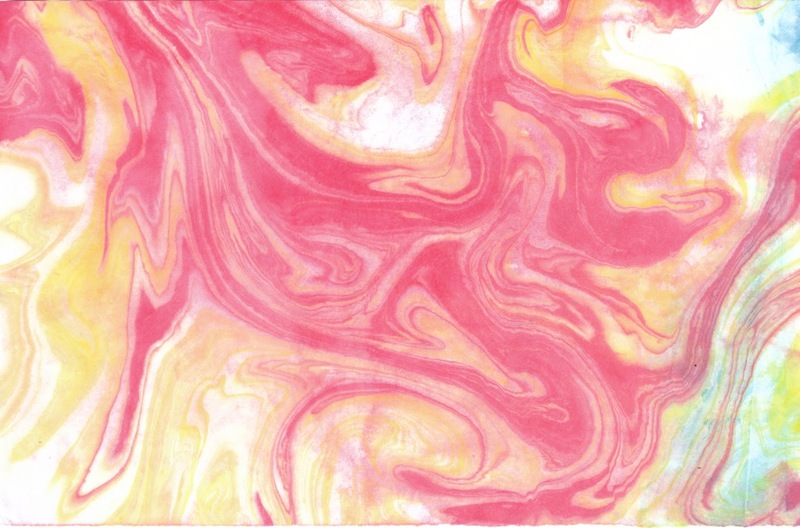 I thought that the marbling would be a graphic device that would be showing the ice cream in a really interesting and abstract way. 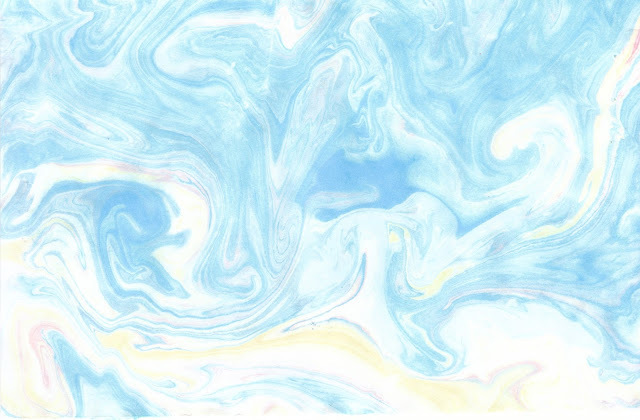 I also wanted to use pale colors to reference the pale colors in her ice cream and the colors seen at dawn. It sounded all so good in my head. I was set. I couldn't wait to get all the ideas out of my head and make it real - such a rare feeling for me. 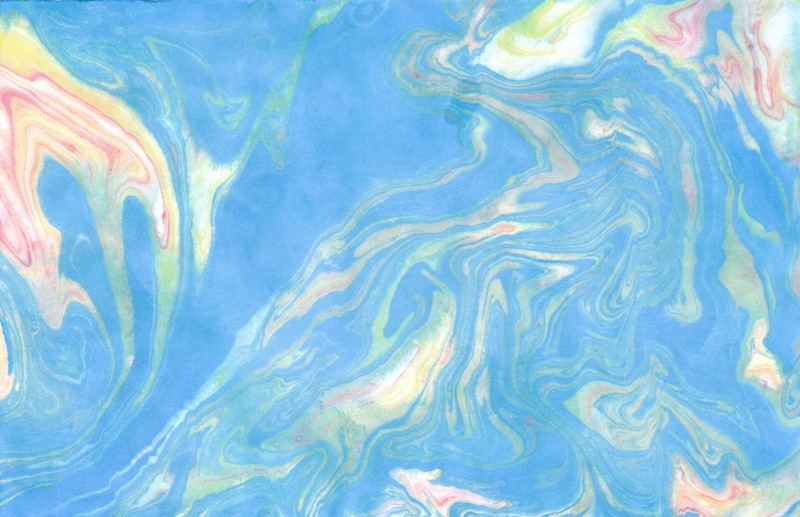 After all my whatever failings with the other marbling techniques I tried, I was so excited to come out with these. It was also so addictive to make them, I could have gone on forever. 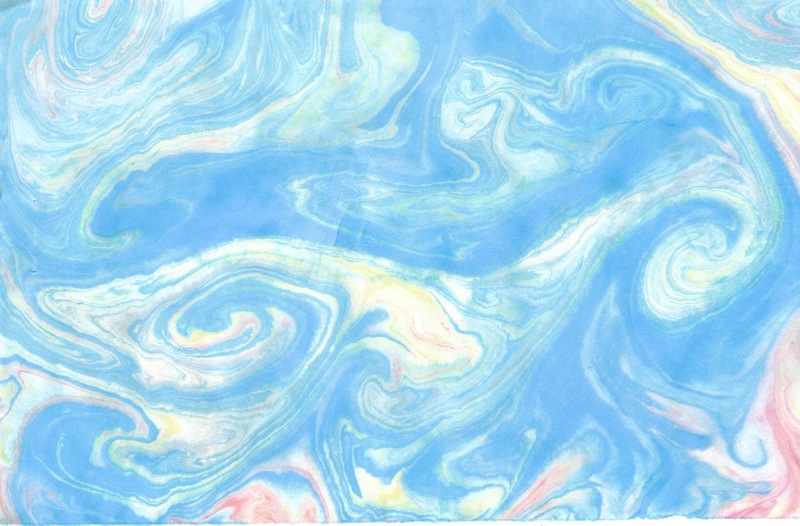 I can see why you'd see billions of marbled cards or books. Marbling is amazing. Or I mean, it's okay, maybe for like a Grecian goddess hair salon or fashion brand (aka, no, this design is not good for anything). But it was so hard for me to let go. I was so excited for this idea and it looked so right in my head and I just could not accept that it wasn't working. I wouldn't allow myself to think of other ways to visualize the site. But at the same time I knew something was horribly wrong with it as well. It was too over the top for the branding Genevieve already had. It was way too much on one page. 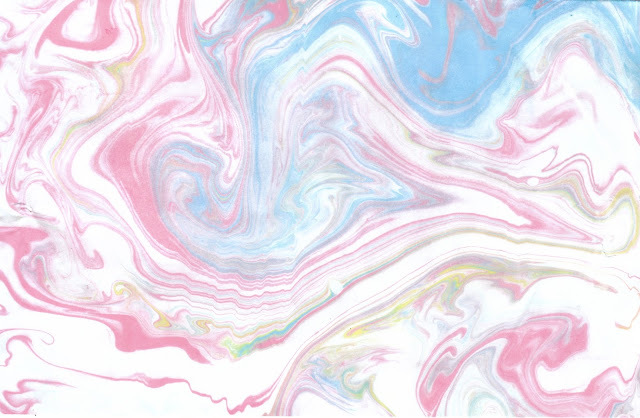 It was way too feminine. That was another struggle, Genevieve talked about how with her branding and with what she's selling, she didn't want to come off as overly feminine. And for some reason that really stuck with me the entire time I was making the website. Everything screamed femininity to me and it just got to a point where I just couldn't even tell anymore. But anyways, as you can see with the current site, I basically did the opposite of my idea, focusing on the photographs (which are amazing and explain her product better than marbling can haha) and making the marbling an accent rather then the focus. I also simplified it as much as I could, which was also insanely hard to do, because after having done so much on the original design, going simple, it felt like, wait, did I even do anything? Is there anything even there? I fell into that thing of where you think that in order for something to be worth anything, you have to be really involved and make tons of apparent choices. This website made me go through so many conflicts within myself. What is too much? What is enough? What is too little? How much of the designer should be present within the design? Is this website too similar to what I did last time? I would go back and forth between these questions over and over with every thing that I nudged from here to there on the site. I wanted to show the process that went into this site as a reminder to myself in the future that it is a process to get to something simple, and sometimes it is really involved and that it has hard moments, and that bad feelings are there for a reason, to make you confront yourself and ask questions and hopefully get to the more appropriate answer and solution. 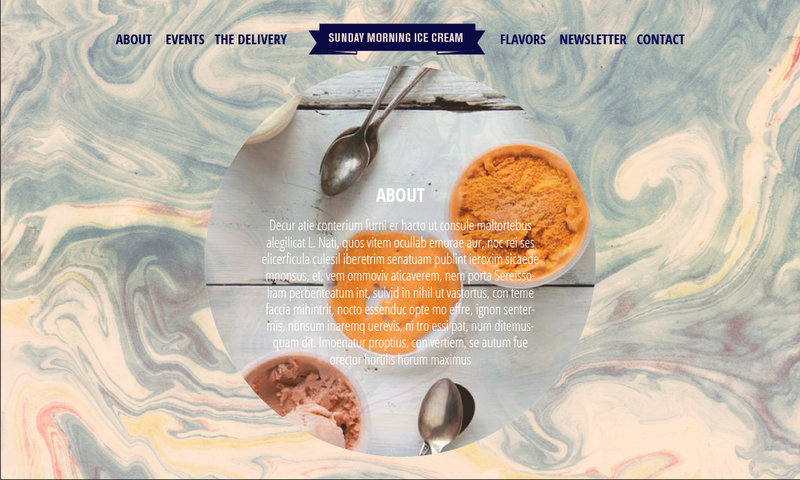 Man, who knew that designing an ice cream website could end up being so deep?! In all seriousness, I am happy with what Ginger and I came out with and I hope you guys like it too and poke around and get excited about what Genevieve is doing and buy lots of her ice cream. You won't regret it. Promise.